The flow of imports and exports – are we losing? At the beginning of August one of the most popular UK-based warbirds was advertised for sale via the Aircraft Restoration Company (ARCo). North American P-51D Mustang Ferocious Frankie (G-BTCD) has been operated by the Old Flying Machine Company for almost 20 years, but a lengthy period of inactivity means its sale hardly comes as a surprise. ARCo stated in winter 2017 that the Mustang has been “sold subject to contract”, however are duty-bound from disclosing any further details of the aircraft’s sale, leaving that decision to the prospective new owner(s) as and when they wish to do so. Enthusiasts are concerned that Frankie may end up abroad, provoking widespread debate that the UK has ‘lost’ too many aircraft to overseas operators in recent years. This got me considering whether there is truth to that mantra and, moreover, how the flow of imports and exports influences the wider British aviation landscape. Ferocious Frankie will be familiar to British airshow-goers as a stalwart of the circuit from years gone by. 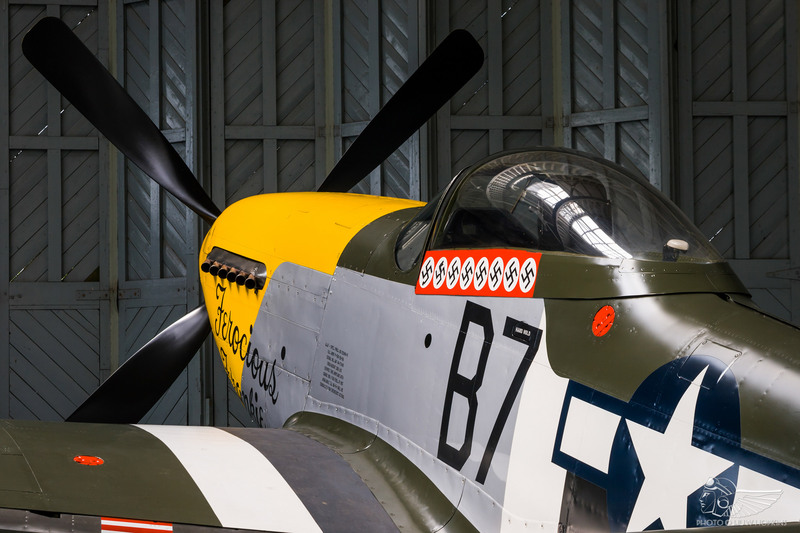 This machine is the first warbird that Stephen Grey purchased from the USA, and has flown in the UK since the 1980s. As one of the founding aircraft of The Fighter Collection (TFC), it is a significant aeroplane in the development of the UK’s vintage scene and is entwined with Duxford’s post-war history. With TFC it was operated in 357th Fighter Group colours as Moose/Candyman until it changed hands and moved under the care of the Old Flying Machine Company (OFMC), at which point it was repainted as Ferocious Frankie. A raft of notable names have flown the fighter over the years – Stephen and Nick Grey, Ray and Mark Hanna, “Hoof” and Lee Proudfoot, Brian Smith, Nigel Lamb, Paul Bonhomme and Alister Kay to name but a few – and with such aviators at the helm it has flown at innumerable airshows all over the UK and Europe, including some of the continent’s biggest events. From 1999 to 2003 the Mustang often starred as one of the OFMC Breitling Fighters quartet, flying dazzling formation aerobatic displays alongside contemporary warbirds. More recently, Frankie led the Horsemen Flight Team’s trio of Mustangs at Flying Legends 2009, and flew as one half of the critically acclaimed ‘OFMC pair’ alongside Spitfire MH434. Given its numerous historical associations, it would ultimately be lovely if ‘Frankie‘s near 40-year association with Duxford and the UK continued but, as always with these things, there is a possibility that a foreign buyer may be found. From an enthusiast’s perspective, this is the downside to the free flow of aircraft to and from the UK, but it shouldn’t necessarily be viewed as a negative to our enjoyment. The flow of aircraft from abroad was clearly a leading factor in the establishment of the British preservation scene, with the founding aeroplanes of some major collections acquired from overseas and brought to the UK. Indeed, Ferocious Frankie was one such aircraft, and the likes of TFC have allowed us to enjoy a vast array of different types through the fairly regular flow of sales and purchases. To offer one prominent example, would we have seen Grummans Wildcat, Hellcat, Bearcat or Tigercat in UK skies in recent years if not for this? There’s no denying that we have lost several aircraft over the past few years to international sales – 14 since 2011 by my reckoning. Several fighters from TFC have gone to the USA (P-40B Warhawk, P-47D Thunderbolt and Hellcat), as well as P-40M Warhawk Lulu Belle and Spitfire Mk.I P9374. Departing to the continent have been Hurricane AG244 (shortly after its return to flight), “desert” Buchon G-AWHE to Germany, P-51D Mustang Marinell to Italy and Radial Revelations’ T-28 Fennec to a French operator. On the classic jet front, Golden Apple’s F-86A Sabre was shipped to the USA in 2014 and soon the same will be true of the much-loved Meteor T.7 and Jonathan Whaley’s Hunter Miss Demeanour. We also waved goodbye to the WW1 Aviation Trust-operated Sopwith Snipe and B.E.2e in late 2017, having enjoyed their residence for a few years. The aforementioned Spitfire P9374 and Meteor T.7 had been on the market for some time, and unfortunately no UK party was able to come forward and purchase either – why shouldn’t they go to a foreign buyer who is able to match the asking price and provide a fitting home for the aircraft? The most important factor in any sale is that the aircraft in question finds a suitable home where it will be looked after properly, and preferably be seen by the general public. This is certainly the case for Meteor WA591, which has been purchased by the World Heritage Air Museum (WHAM) of Detroit, Michigan. 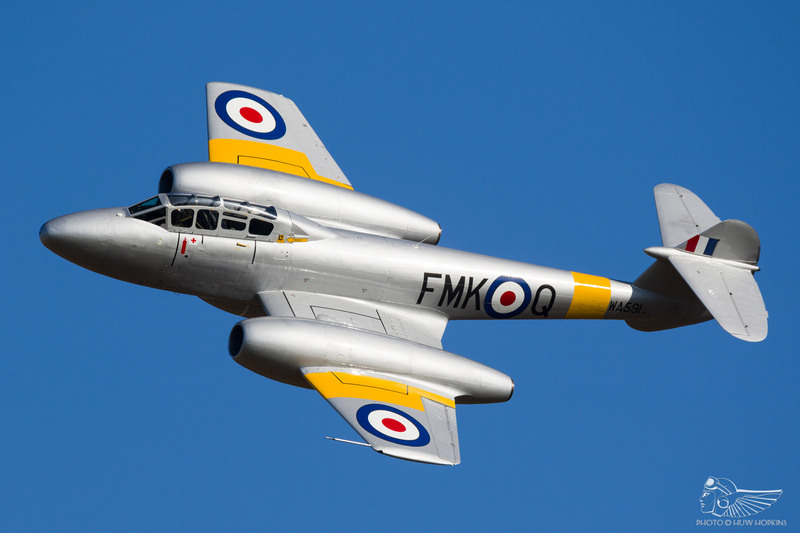 The WHAM specialise in saving and operating classic jets, both American and British, and under their ownership the Meteor should fly regularly and be seen by the public at airshows, telling the story of early British jet development to a new audience. The aircraft is still at Coventry and pilots from the WHAM have visited the UK to begin flight training on type, such is the level of care taken – they aren’t rushing, and are respecting this unique jet. Indeed, the Meteor is due to star at Oshkosh 2018 as one of the centrepieces of a classic jet gathering, which will doubtless be well-received by American enthusiasts and generate a lot of media attention. With this in mind, we turn again to Ferocious Frankie‘s situation. The Mustang made a pair of post-maintenance flights in autumn 2017 – two of just a handful of sorties in the past two years, with the aircraft sitting largely inactive and unseen for the rest of the year (rest assured, she is being kept in fine mechanical fettle by ARCo for any potential buyer). Surely, then, it would be better for this wonderful aircraft to come under the care of a new owner who will provide it with a fitting home where it will fly regularly, rather than languishing unsold, even if this does mean that it goes abroad? Export sales are also endorsements of the standard of restoration work being conducted in Great Britain. That an American buyer would purchase a P-40 from the UK, as in the case with the Hangar 11 Collection’s P-40 being sold to Oregon, is an endorsement of the work carried out on the aircraft by the Hangar 11 team. Over several years they periodically undertook deep maintenance and restoration on the P-40 to bring it back to stock specification. That this work stood out above many of the exquisite P-40 restorations in America or New Zealand speaks volumes. The UK is home to some of the world’s premier historic aircraft workshops – the Aircraft Restoration Company, Historic Flying Ltd, the Biggin Hill Heritage Hangar (BHHH), Airframe Assemblies, Retrotec, Hawker Restorations and The Shuttleworth Collection to name but a few of the most high-profile, as well as myriad small groups and individuals working in private facilities, in some cases the very definition of the garden shed industry that is so quintessentially British! That’s only part of the story, and lamenting the loss of aircraft to overseas buyers neglects to consider the many imported types the UK has welcomed in recent years. A trio of Curtiss fighters (P-40F, P-40C and P-36 respectively) joined TFC, while P-51D Mustang Old Crow was brought to England and transformed into ‘The Shark’. The BHHH gained Hurricane AE977 from the USA and Fury G-CBEL was shipped back to the UK after a number of years in Australia, while Will Greenwood purchased his beautiful Normandie Niemen-marked Yak-3 G-OLEG from Germany. We’ve also just seen the unique HA-1114 Buchón make its maiden post-restoration flight at Sywell after extensive work by Air Leasing. Beyond the heavy warbirds, four First World War fighters arrived from New Zealand in the form of two B.E.2es, Sopwith Snipe and Albatros Dva.  As stated, we have since seen the departure of the Snipe and a single B.E.2e, however we retain one of these and the Albatros, currently in New Zealand for repairs, is due to return in 2018 alongside an S.E.5a and Fokker D.VII. There’s a fairly even keel, then, as well as several restoration projects edging towards flight including Wildcat, Spitfires, Buchons, Lysander and the Bf 109E – there is, perhaps, more balance than at first glance. It is worth noting recent Spitfire sales, with Mk.Vb EE602 Mabel and Tr.IXe PT462 moving on to new homes where these once elusive Spitfires will be seen far more regularly. Having only appeared at two major public events since its return to flight in 2015, EE602 has joined the very active collection of warbirds operated under the Anglia Aircraft Restorations Ltd banner and will undoubtedly be seen at more events in future. Similarly, PT462 has moved on from long-term owner Anthony Hodgson and his private airstrip in North Wales to be based at Duxford with ARCo. In addition to these, Spitfire Tr.IX MJ772 has been bought by Warbird Experiences Ltd and work has begun at the BHHH to restore the aircraft to flight. 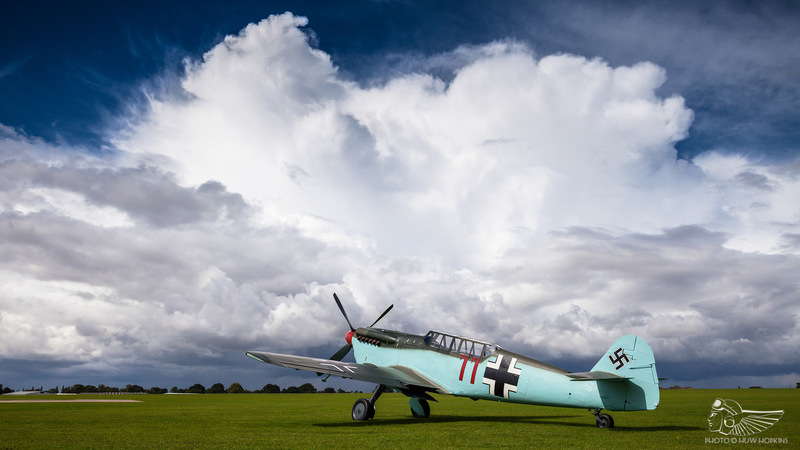 The aircraft formerly owned by the Air Fighter Academy in Germany had been visiting the UK to take part in the Battle of Britain 75th anniversary commemorations in 2015 when it suffered an engine failure and emergency landing in Kent. Whilst we may have lost a single Spitfire to an overseas buyer with P9374’s departure, we have gained a whole raft of “new” Spitfires through restorations and acquisitions. The overall picture is one of overwhelming positivity. From all of the aforementioned workshops emerge world class and unique restorations. Regardless of import to export ratios, it is these workshops that ensure that aircraft numbers are always swelling with the steady completion of restoration projects. We’ll never truly be on the losing end. Many such projects were brought to the UK from abroad – take the Historic Aircraft Collection’s Hawker Fury, which was salvaged from a scrapyard in South Africa, or their Airco DH-9, which was rescued from a Maharajah’s palace in India – and their culmination signifies the revival of British heritage. With all that in mind, it’s hard to dwell on what we have lost. The UK has one of the strongest historic aviation scenes – the most concentrated, diverse and unique. To that end, it is the envy of the world and we see enthusiasts from across Europe, North America and Oceania flock to the likes of Duxford’s Flying Legends airshow each year. To many, the idea of seeing multiple Spitfires and Hurricanes in the air is beyond comprehension. That UK airshows now routinely field large-scale formations of both is a testament to the strength of the country’s preservation landscape. The flow of aircraft sales is one of the cornerstones upon which the UK’s quite brilliant historic scene was founded, and that free movement of aeroplanes is vital to its periodic rejuvenation. 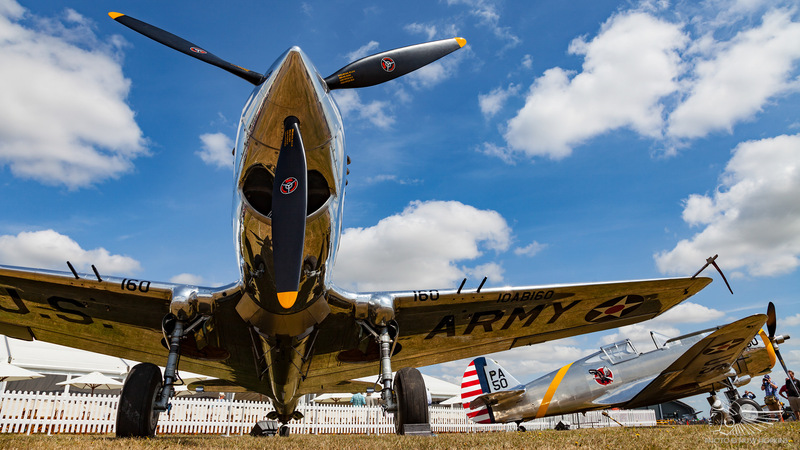 Time will reveal the fate of P-51D Mustang Ferocious Frankie, but rest assured that whatever the outcome, the historic movement will keep pressing forward. As enthusiasts, we need to appreciate the ebb and flow of vintage aircraft. Hold on to what we have and enjoy every second, lest we take it for granted. Who knows what delights could be just around the corner!